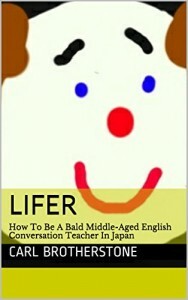 I’m really pleased to kick off 2015 proper with a review of Lifer: How to Be a Bald Middle-Aged English Conversation Teacher in Japan. Based on the blog of the same name, it is written by the teacher behind Good and Bad Japan, a whimsical look at daily life here. Lifer is probably the best book I have read about teaching English in Japan. Most of the time I could imagine that he was writing about my life, as I have lived many of the scenes in the book. A lot of the time it is laugh-out-loud funny, but the best thing about it is the author’s love of Japan and teaching that shows through the cracks in the anecdotes. Please buy a copy immediately if you teach English in Japan or are considering doing so -not only will you enjoy it immensely and probably learn some things, but if it does well enough Carl may even get around to writing a sequel. I have no idea what will happen in 2015. 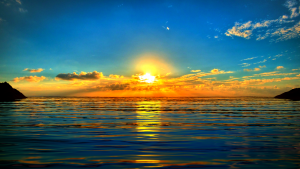 Unexpected events, good or bad, are almost guaranteed. I’m hoping there will be more good than bad this year. Also, I have some idea of what I want to accomplish. Here are my educational goals for 2015. My main goal here is to write the second edition of our extensive reading manual. Beyond that I would like to continue improving my classes and supporting other teachers in the ER@TU program. The main goal here is rolling out the new program Cambridge 2015, along with the SEG-inspired Cambridge Academy. This is on track and looking good so far. I would like to write and publish some more ebooks. I also plan to work on my Retire Japan project. I also have personal (mainly to lose weight) and financial (to continue saving and investing) goals. How about you? Any projects or resolutions for 2015?